Are you ready to be blown away with the latest technology in disco lighting? 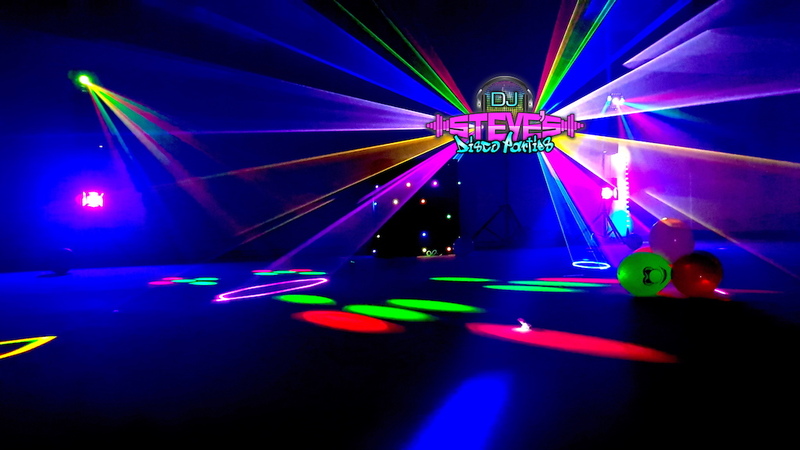 3D Laser lighting is now available when you book a DJ Steve Disco Party! We use the latest in laser technology that allows us to connect them to a computer and project almost anything onto a wall or ceiling! We can scan in logos, write birthday messages for the children and even have animated figures displayed on the wall. When a fog machine is used in conjunction with these lights, the images or words can be seen floating through mid air! It has to be seen to be believed! Imagine the look on the kids faces when they see their names in laser lights! WHAT DOES 3D LASER LIGHTING COST? We will always bring with us our standard lasers that produce pretty cool effects. They are included in the price of the disco. For an extra $25, Our DJ’s can add the extra effects of fans, fences, circles and many other shapes to make your disco, out of this world! 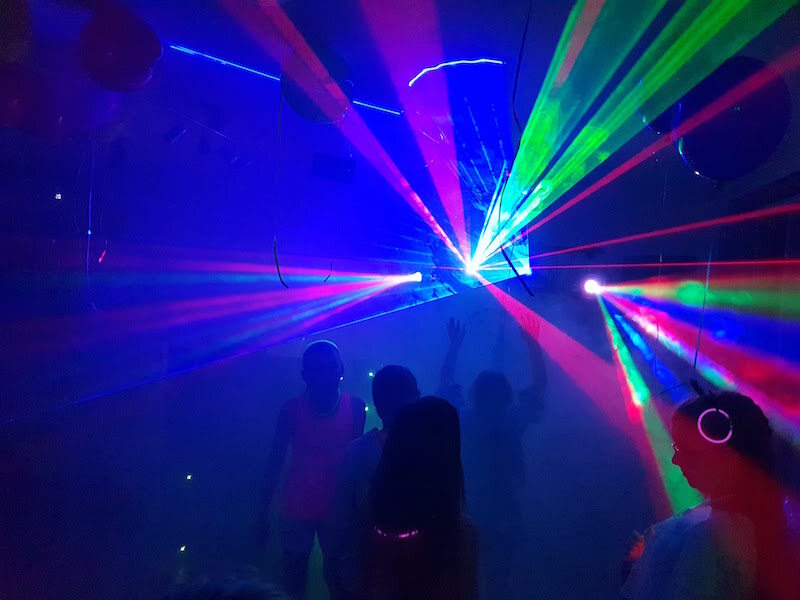 If you want to go to the next level, when you book DJ Steve as your DJ, a $55 upgrade will allow you to have personalised messages or animations being projected onto the walls. WHAT DO THE LASERS LOOK LIKE? Lasers can be very difficult to film clearly due to the very high scan rate. Most phones and video cameras can’t keep up with the image and you see dropped frames in the vision. In real life, the lasers are very smooth and look amazing. Here are a few examples of what we can do. At this stage, the programmable 3D Laser lighting is only available when you book host DJ Steve.